On Friday 13th January 2017, we paid our respects and a sad farewell to our friend and longstanding Volunteer Phil Kemp, who was the current Project Leader for none other than our Halifax “Friday the 13th”. It was perhaps a fitting twist of fate that the Cremation Service should take place on this day, following his sad passing on Friday 23rd December 2016. Phil joined the Museum as a volunteer way back on 1st March 1993 after a long career in railway administration here in York. 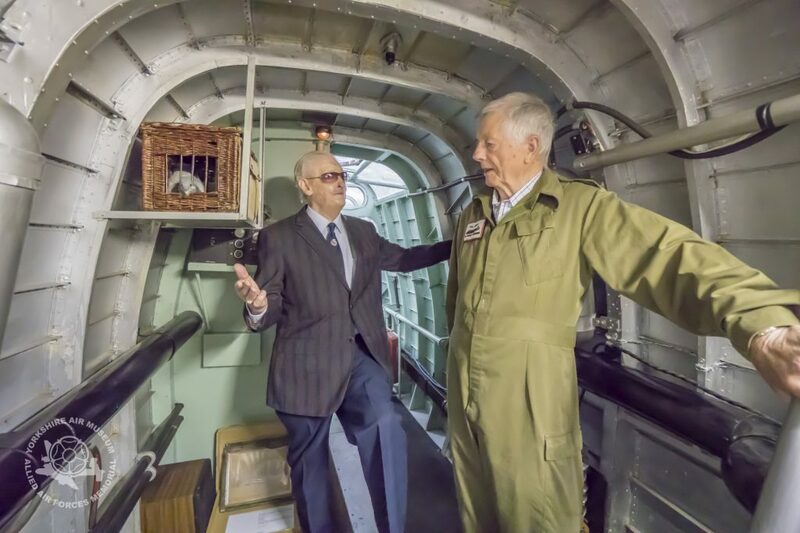 He had been involved with the Halifax restoration since the late 1990’s as one of the Aircraft Engineering Team, latterly taking on the mantle of Project Leader for the Halifax. Phil’s great gift, however, was in his role as a Guide for literally hundreds of Halifax tours over the years. In this capacity, he has escorted scores of Halifax air and ground crew veterans, their relatives and many other members of the public who have supported the Halifax with tour and sponsorship donations. His knowledge, enthusiasm and kind, considerate manner were particularly valuable on many occasions when emotions ran high. His friendliness won him countless letters and messages of thanks and appreciation from around the world, often from aircrew relatives who have gained an insight into the roles that each crewman played in the operation of the Halifax, thereby filling in the blanks of their knowledge. In view of this, some years ago, the Museum put Phil forward for the York Hospitality Association Awards as “Volunteer of the Year”, which he duly won, a moment of great pride to both him and Ellen, his devoted wife. Farewell Phil, you will be missed.